I REMEMBER HAVING a crush on my junior high school librarian. She was tall, lithe, and wore glasses and a shirtwaist dress. Alas, or maybe fortunately, the affair came to naught. Not unrelated, though, I’ve just learned of an utterly unstereotypical librarian, a fellow named Charles Fletcher Lummis, whose life warrants even more than the Parts 1 and 2 here at SimanaitisSays today and tomorrow. 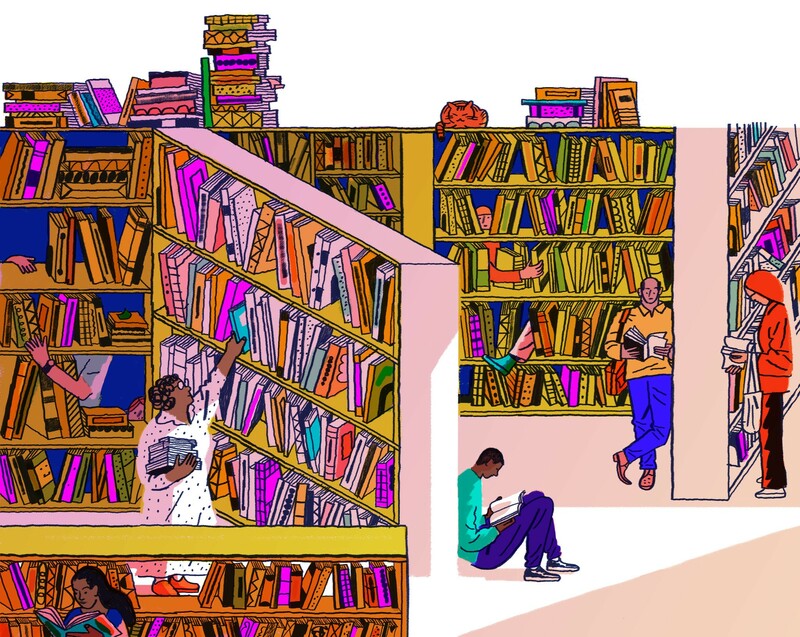 Illustration by Josh Cochran from “The Library Fire That Ignited an Author’s Imagination,” by Michael Lewis, The New York Times Book Review, October 21, 2018. Charles Lummis is discussed in a new book, The Library Book,” by Susan Orlean, the subject of “The Library Fire That Ignited an Author’s Imagination,” by Michael Lewis, in The New York Times Book Review, October 21, 2018. The Library Book, by Susan Orlean, Simon & Schuster, 2018. Though associated with California and the Southwest, Charles Fletcher Lummis was born in Lynn, Massachusetts in 1859. He was home-schooled by his widower-father and then attended Harvard, where he was a classmate of Theodore Roosevelt. 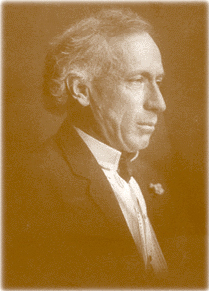 Charles Fletcher Lummis, 1859–1928, American journalist, Native American advocate, historian, poet, and librarian. From Harvard to Los Angeles, Eventually. Lummis’s first published work, Birch Bark Poems, helped him finance his time at Harvard and won acclaim from Life magazine. Unlike Roosevelt, Lummis dropped out during his senior year. In 1880, Lummis married Dorothea Rhodes of Cincinnati. 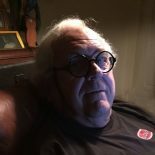 Four years later, working for a Cincinnati newspaper, he was offered a job as the first city editor of Harrison Gray Otis’s fledgling Los Angeles Times founded in 1881. Evidently an adventurer at heart, Lummis made the 3500-mile journey by foot, “in knickers and tomato-red knee socks,” according to reviewer Michael Lewis. 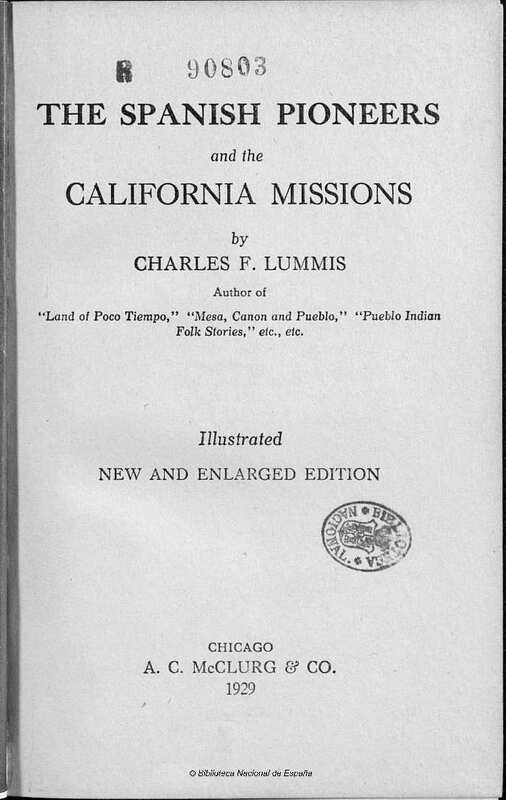 Lummis took 143 days for the trip, wrote columns about it as he trekked, and later wrote a book, A Tramp Across the Continent, that was published in 1892. Apparently the first Mrs. Lummis traveled more conventionally, though her relationship with Charles was to remain unconventional, to an extreme. A Brief Editorial Stint. Lummis overworked himself into a mild stroke at the Los Angeles Times. In 1888, he moved to San Mateo, New Mexico, to recuperate, and later to the Twia Pueblo village of Isleta. Lummis established a career as a prolific writer with a Southwest and Native American speciality. One of Lummis’s 22 publications. 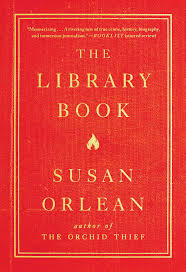 This entry was posted on November 4, 2018 by simanaitissays in And Furthermore... and tagged "The Library Book" Susan Orlean, "the Library Fire That Ignited an Author's Imagination" Michael Lewis "The New York Times Book Review" illo by Josh Cochran, Charles Fletcher Lummis, Harrison Gray Otis's "Los Angeles Times".